Has anyone out there tried Facebook ads for your books? I gave it a shot a couple of times last fall, with no success. After checking out a link on Staci Troilo’s website that explained the process a little better, I decided to give it another chance. The ad is for The Gemini Connection, and although it’s far from a landslide, the ranking went up this weekend. So did the ranking for Sarah, but I’m not sure if the increased sales were a result of the FB ad or a Twitter post from Saturday. I’ll let the ad run for at least a couple more days and see what happens. If you know the secret to successful ads, please share! I’m still plugging away on the third draft of my WIP – which is still titled Book 3. As I’m reading through it again, occasionally the characters laugh and tell me that’s not something they’d ever say or do, and it needs to be rewritten. Does this happen to you guys? It’s not necessarily a bad thing to have voices in your head – especially if you’re a writer. So, I’m waaaaay behind on Supernatural – and I can hear some of you gasping in shock, dismay, bewilderment, and disapproval. For some reason, I never watched it when the series first started so many years ago, and I’m determined to change that. Especially since the last season is coming up. A few reviewers mentioned that in Sarah, the banter between Cain and Finn reminded them of Sam and Dean, but when I wrote the book, I’d never seen the show. So far, I’ve gotten through the first six or seven episodes, and I love it, just like I knew I would. I’ll keep you updated. I’ve never watched Supernatural but it looks really good. Good luck on your writing, Teri. 😉 Have a great week! When there were only ten seasons, my youngest binged all of them over summer vacation, and he kept telling me to watch it. I’ll get there, but it will take longer than a couple of months, lol. Thanks, Jenn! I just checked my numbers, and it’s doing nothing for me, either, Shalini. There are other authors with my publisher who’ve made a killing running FB ads. Wish I knew their secret. Agreed – tried those, too. I will read both your books and review. Sorry darling I have not been well this whole year. Ughhh it is just the beginning. I understand about books pending – there are so many I want to read, but have to get through the ones from NetGalley. I’d be thrilled if you read them, Shalini, but you have to put your health first! I will read them. I have downloaded both on KU I am hoping I can start reading again. Not read since a week.. Sighhh. Thanks for the post shout-out, Teri. I only dabbled in FB ads, and not successfully. It’s my understanding that they are on the decline, with Amazon and BookBub ads yielding better ROIs. I haven’t experimented with those yet, though, so I can’t say for sure (although I will keep sharing valuable links as I find them). I am in mourning over the last season of Supernatural. I would happily have watched these characters grow old on screen. I know they’ll continue their careers (and I’ll likely watch anything Jensen Ackles does), but the show is something special. It really is all about the relationship between the brothers, and the banter is award-worthy. I’ve enjoyed the few I’ve seen so far. I have no idea why I never started watching this series – it’s everything I love. I’m thinking about looking into Bookbub next, Staci – need to do some research, and then get with my publisher about it. I really appreciate those links you post weekly – I’ve learned several things from them. Thanks! i never watched supernatural though i’m extremely curious as a few of the reviewers for my first book compared it to the show. For the fb ads, i too, tried and saw no results. if this one you’re doing works, share what you did different! As for the writing, does it answer your question if i just sigh and shake my head? Same with me for the comparisons with my characters in Sarah, Jina. I’ll probably let the ad run through today, but it hasn’t been worth the money – I’ll have to experiment elsewhere. I do a lot of sighing and shaking my head also! Yes, I have characters talk to me. I have a character in a completed first draft that tells me she’d rather be a man. If I give in, I’d have to change the other characters around her, and the girly scenes to guy-centered scenes. Seems like a big undertaking, but if she won’t hush up, I’ll have to comply! Now that’s one that hasn’t happened to me – yet. You’re not kidding about a big undertaking, Priscilla. But if the character is screaming about it, you may not be able to avoid it. Good luck! I find ads to be horribly hit and miss. Facebook did very little if anything. Twitter led to some abuse. Bookbub did nothing. It’s all very difficult to get to grips with, and I swear there’s some luck involved. In talking with other Black Rose writers in our FB group, I think you’re right, Matt. Success has varied with everyone, and the luck thing? Absolutely. Catching the right hashtag on Twitter seems to work well sometimes. Have you tried the current #IndieApril one? I haven’t – but you can bet I’ll use it in the next tweet. Thanks for the tip, Matt! Now that’s one I haven’t heard of, Cynthia. Not sure I’d even know where to begin. I have a Pinterest board, but don’t spend much time there. I created a board for The Gemini Connection, but haven’t done anything since then. Thanks for the idea – and let me know how it words for you! I watched the first two seasons of Supernatural but then it kind of drifted off the radar for me. I know it has a huge following. I used to run FB ads with every book I released and several ads returned good results. That was before FB changed who and how you target and I abandoned them. They’re in a mess with HUD right now over target marketing, so I have a feeling their ad policy is going to change yet again and likely won’t be effective any longer. Book Bub is the best, but pricey. I haven’t tried one there yet but my publisher ran one for me and the results were awesome! Think you’re right about FB, Mae. I need to get with the marketing guy at my publisher and see what we can do with Bookbub. Like you said, pricey, but good results. My characters are always doing things like that. I had one who was getting to be so much of a handful I made him sit the next couple of scenes out by having him knocked out by a sleeping spell for a bit. The memory of it was enough to make him calm down every time it was mentioned afterwards. That’s hilarious, Tori – a great way to shut him up for a while! I had something similar happen to me. Will O’ the Wisp was compared to Stranger Things, but I’d never seen it when I wrote it. Ads for me aren’t hit and miss. They all miss. I get better results from blog tours, but really ought to do something with Lanternfish again. Maybe a Pinterest ad is the way to go. That was me that compared it to Stranger Things, lol! So far, the ads have all been a miss for me too, Craig. Blog tours haven’t really helped, either. I finished Lanternfish yesterday – will get a review posted in the next couple of days. Cool. Hope you enjoyed it. I intend to write more about them. I did! Is there any way I can get my own root monster? Just plant a seed, wait three days. Lots of Oba and awa. I haven’t tried Facebook ads as yet. Still, haven’t figured Facebook regular out as yet. 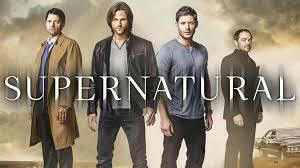 I have not watched Supernatural so I guess I stand alone now that you began the series. Come join the party, John! Not the FB one, but for Supernatural – much more fun at that one. Netflix has all the seasons. I used to watch Supernatural but haven’t seen it for many years. However, I was glad to see it appear on either Netflix or Amazon Prime (can’t remember which one). Currently watching The Mist on Netflix. Have you seen it, Teri? I’m not any good on the ‘what ads work best’ subject, I’m afraid. I’ve read lots of posts about the subject and what seems to work for one person, doesn’t for another. I guess it’s a little like social media. Supernatural is on Netflix, and The Mist has been on my list, but I haven’t watched it yet. Need to bump it up! You’re right about the ads, Hugh – they’re not the same for everyone. Very subjective. 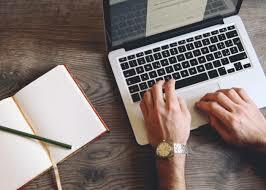 I have run a couple of FB adds, Teri, and they have helped me build my author page very nicely. I do get clicks. I think the trick is lovely pictures and short and to the point prose. I created an image on Bookbrush, with a few short lines of description. Still haven’t found my people, I guess, Robbie, lol. And the planets are aligned, lol. I deactivated my FB ad this morning, Judi – reached a lot of people, but little to no sales. You’re right about BookBub – difficult to get accepted. I lucked out with my first book on there, but not the second so far. I’ll have to look into the Written Word Media – thanks for the tip! I love Supernatural. I watch the seasons as the come available on Netflix. I think as of right now there are 13 seasons available and I’ve watched them all. They haven’t put season 14 up yet and then of course the last season isn’t up yet but I will binge them as soon as they are available. I am so sad that they are canceling it. I would have watched it forever if it was available. Good luck on your writing and I hope you figure out the ads. Thanks, Misty! I know a lot of people are sad about the last season coming up. Fifteen seasons really says something about the show, and is quite an accomplishment – unless it’s The Simpsons, of course, lol. Yeah it’s a huge accomplishment. Definitely going to miss it but at least I can rewatch it when I want too. My husband watches The Simpsons but not me. I don’t really like that show. I used to watch it a lot, but haven’t in years – a lot to catch up on there also. I’m sure if you enjoy it you will fly through it. I did!! One of my friends is nuts about Supernatural. When I design programs for my next SF convention, I’ll probably have a Supernatural meet-up. I have friends who are die-hard fans, so I’ll probably feel the same way once I get into it. Just watched the 7th episode last night.